EasyJet has pointed to a dearth in the number of female pilots as the main reason for its huge 52% gender pay gap, which it published this week. Women were paid an average hourly rate that is 51.7% less than men across the low-cost airline’s business, or 45.5% less when measured at the median. Pilots at easyJet are paid £92,400 on average, but because there were 1407 male pilots and only 86 female in April 2017, there is a significant impact on the company’s overall gender pay gap. 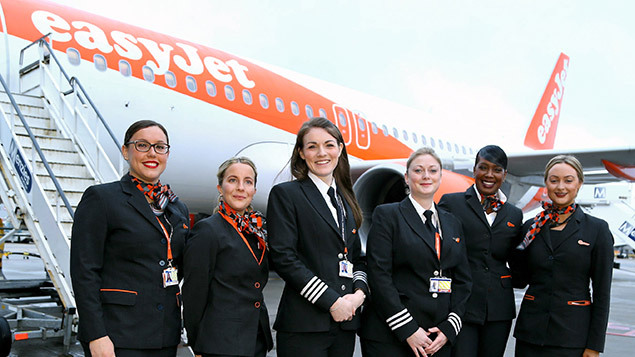 In commentary published alongside its submission to the Government’s gender pay gap reporting website, easyJet says that female pilots and cabin crew all receive the same basic salary and variable pay rates as their male counterparts. “EasyJet’s gender pay gap is strongly influenced by the salaries and gender make-up of its pilot community, which make up over a quarter of its UK employees,” it explained. EasyJet’s chief executive, Dame Carolyn McCall, one of the FTSE 100’s few female leaders, steps down this week. The airline has published its gender pay gap for the previous two years voluntarily.